We are one of the leading service providers in designing and installing commercial alarm systems here at AvGeeks. We offer an array of alarm solutions based on the requirements of diverse clients. We have a lineup of experts with vast experience in commercial alarm system installation. As a business owner, you probably neglect the security of your business until you face a difficulty. Most of the time, you change your business approaches and concentrate on attaining your objectives without taking your business’ security into consideration. There are many critical steps that you need to take in order to guarantee that your commercial space is secure. As a serious business owner, you should have a well installed commercial surveillance system that guarantees the safety of your clients, staff and business as well. Most studies reveal that numerous businesses lose a lot as a consequence of vandalism and internal thefts annually. Here are some of the outcomes you can expect when you seek our services of commercial alarm system installations. Business safeguarding-We install video cameras inside and outside your business in order to record criminals who destroy or steal your property. The existence of video cameras in your commercial establishment will discourage crime, and assist in investigations if they occur anyway. Safeguarding of employees-The presence of an alarm system in your business shields your employees in many ways. Scrutiny cameras record any unlawful activities and assist security officers to curb criminal activities on time. Increased productivity-As a manager you can use security surveillance systems to record the activities of your employees. This way, you will be able to determine their productivity and ensure that they follow safety rules in your establishment. Moreover, commercial alarm systems can protect your sensitive data. Just as this data is valuable, so is the equipment it is stored in which can be stolen as well. You can erase data from your computer or shred your important documents but this is not a sure way of ridding yourself of sensitive information. If you do not feel safe when you leave your commercial establishment, you need to seriously consider having an alarm system installed. It is important to note that there is a need for an alarm system in any commercial establishment. You should not centre on the effects linked to the installation of alarm systems but consider the profits of saving your business from liabilities and expenses. Our commercial alarm system installers are highly trained and proficient in designing and installing the best system for you. We survey the area where you want your alarm system installed to ensure that it is practical. We design and carry out our installations based on your financial plan and requirements. We collaborate with top manufacturers of alarm systems and integrate them into our installations. 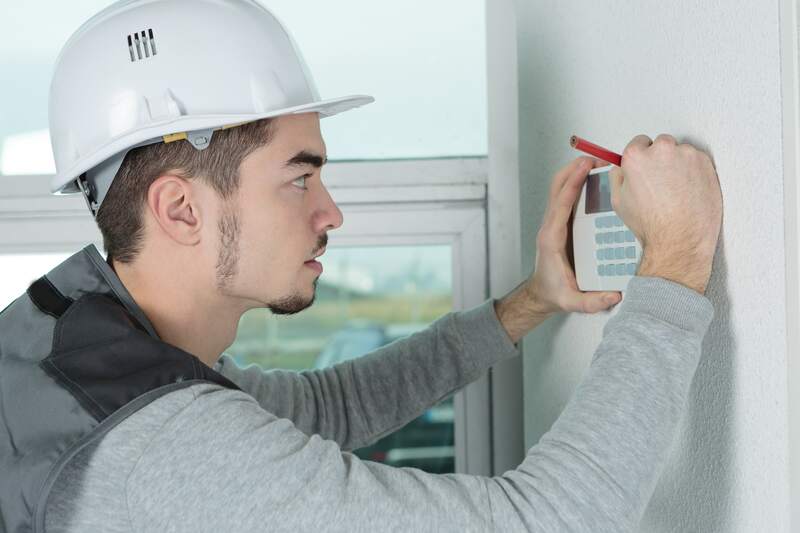 Our technicians are equipped with many years of experience in this field and are therefore capable of delivering the best results in your commercial alarm system installation. We do not make unfounded decisions because we assess your commercial establishment before deciding on the type of alarm system to use.